It's about time, teachers...that we really teach our students the rules for syllabication. 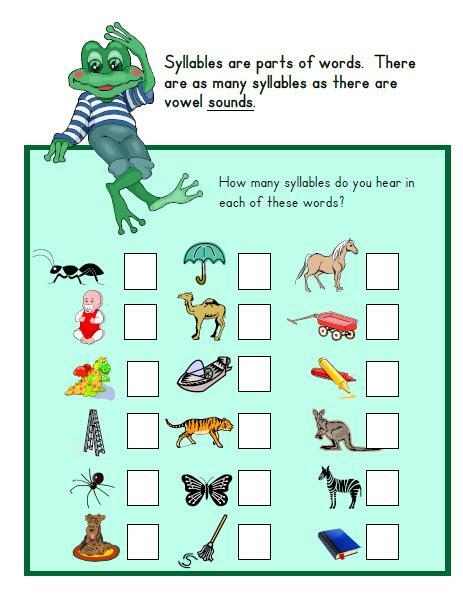 Knowing those rules helps children to decode words in reading and to determine correct pronunciations. 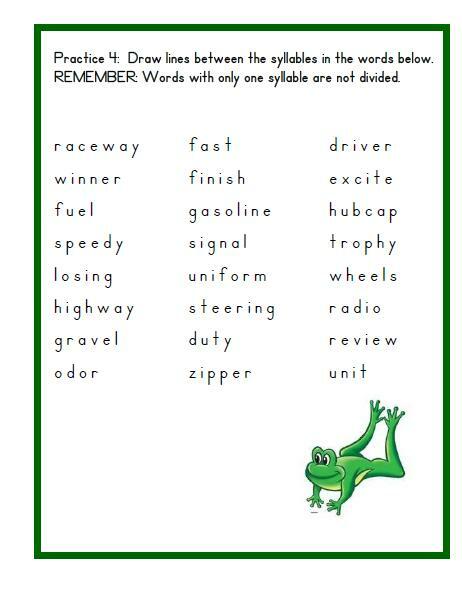 It helps them to apply spelling patterns in their writing and to make their writing easier to read. And, of course, it is a component of the Common Core Standards. After mentoring scores of student teachers, I can say with certainty that they benefit greatly from taking a refresher course in the rules of syllabication. The vast majority of my student teachers comment positively about working through this unit. They they gladly take a blank copy with them for future reference and as an addition to their teaching files. These printables are well suited for a literacy center. Collate them into a booklet for each student, or use them page by page as you focus on each rule. 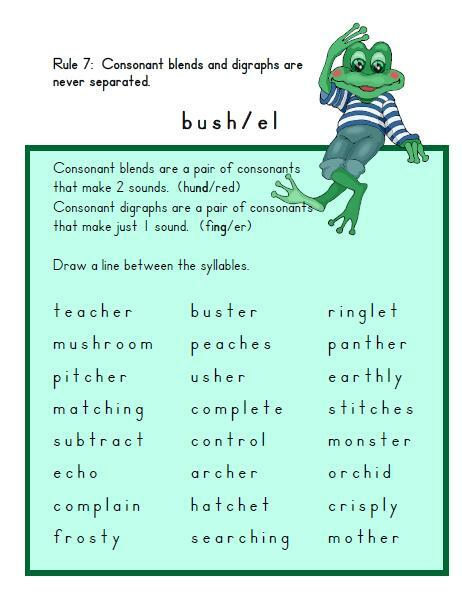 You can find Friendly Frog's Syllables Book in my TpT Store.